Not a Politico was worried, about our problems so great. West State Street was empty---not a lobbyist was there. ‘cause ‘Lame Duck’ was over, --at least ‘til the Fourth. And some had their eyes on their Congressional race. Only one could win, and the others would be ‘toast’. Serving at the side of the man who’d be selected. Talking important issues ---like which candidate was fatter. Driving records, loans to friends, and who paid what tax. Emails to ex-girl friends and who worked at Goldman Sachs. The other campaigns were paid with taxpayers’ stash. Did they get their money’s worth in the campaign? Well, some taxpayers voted, but they mostly abstained. Some politicos were indicted, some subject to arrest. "On Sharpe James! On, Bryant! On Manzo, Mims Hackett! "I will never raise your taxes! Never! Not one cent"
But never revealed specifics about what would be spent. Back and forth the polls said the lead changed hands. Who would we agree on? Who’d have the most fans? Only thing the candidates agreed on: Bruce Springsteen. Was that New Jersey had chosen a new, different direction. Of course, this was not what the Democrats would expect. But now, Chris Christie of Mendhem is the Governor-Elect. You can say what you will about the Christie machine. But any governor contenders must wait till 2013. "Happy Holidays to all, and to all a Good Year! The New Jersey’s CrimeStoppers Program has made thousands of arrests and paid out hundreds of thousands of dollars in reward money over the past two decades. But officials say many of the do-gooders who have turned in thieves; rapists and killers have truly been good Samaritans and turned down the reward money. "The majority of people don’t want the money," said Morris County CrimeStoppers Chairman John Sette. "They want the bad guys off the street." Well, the State now has nothing to worry about: A group of former elected officials, now serving time in prison, have formed a group to help the state out, so that the money can be distributed for a “good cause”. From behind prison doors, former State Senators Sharpe James, Wayne Bryant and John Lynch have formed CASH, Citizens Associated for State Help. “There is no group who is more committed to handing state money than we are,” said former state senator Sharpe James, through a prison spokesman. James (federal inmate number 28791-050) is currently serving a 2-year prison sentence in a federal prison camp in Petersburg, Virginia. The investigation and prosecution of James was led by New Jersey Governor-elect Christopher Christie, who at the time was the United States Attorney for the District of New Jersey. Former State Senator John Lynch agreed, “We are used to handling large sums of cash, and are more than willing to help the state out in these tough economic times.” Lynch, the former State Senate President from 1989 to 1991, pleaded guilty in the U.S. District Court on one count of mail fraud and one count of tax evasion in 2006. Their plan is to take the large amount of the state funds, convert it to CASH for use in the “white envelope industry, the diners on state roads, and the table manufacterors for 'under-table' construction." "CASH is committed to helping the state in anyway we can, and we look forward to working with Governor Christie," finished Mr. James. Former Mayors are currently forming CASH Franchises around the state. Anthony Suarez of Ridgefield, Dennis Elwell of Secaucus, Leona Beldini of Jersey City, and Peter Cammarano III of Hoboken, all forward to working with CASH. Jersey Officials finally caught up with Ilya the Manatee. Problem: No Beach Tags. After almost two months vacationing in the Garden State, Jersey Officials finally caught up with Ilya the Manatee. “This big fat sea cow had no Beach Pass to speak of. And he’s been lounging around the water near the Atlas Yacht Club in Bayonne. Next, in a creek outside a Linden oil refinery,” said a local beach official who wished to remain anonymous. Ilya was first spotted Thursday morning in Morses Creek off the Arthur Kill by a ConocoPhillips worker conducting regular inspection rounds at the Bayway refinery, according to company spokesman Rich Johnson. Johnson was livid at this kind of scam. “If I have to reach in my pocket for a Beach Tag for my family to use the Jersey Shore, so does this fatso,” squawked Johnson, sounding perturbed. It may have been that Ilya the Manatee was not used to having to pay for a Beach Tag. The beaches along the coast from Florida through North Carolina, Virginia and Delaware are all free. 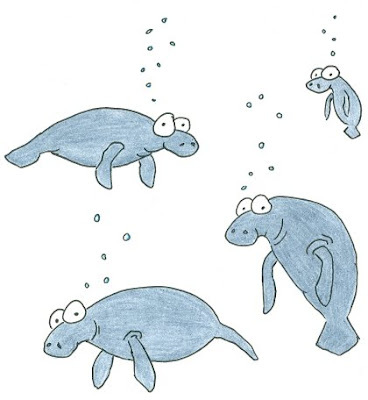 Generally, manatees weigh between 880 to 1,200 lb, and are about 9.2 feet to 9.8 feet long. Since this was a first offense, Ilya was let off with a warning. However, he was placed under the authority of the US Coast Guard, and sent back to his home state of Florida, under the aegis of the Miami Seaquarium. The Hunterdon County Republican Committee met today to choose a successor to replace Freeholder Erik Peterson, who resigned Tuesday to become a member of the State Assembly. Peterson took the place of Senator Michael Doherty, who stepped up to take the place of Leonard Lance, who became a member of Congress in January. Initially, there were three candidates seeking to replace Mr. Peterson. Contenders included Mayor Rob Walton of Hampton; Tom Borkowski, a former Clinton Township mayor, and Carol Hoffmann, an Alexandria Committeewoman. But late yesterday, a fourth candidate emerged: The Wolf-Dog, who was nominated after continuing to escape from his owners in Holland Township. 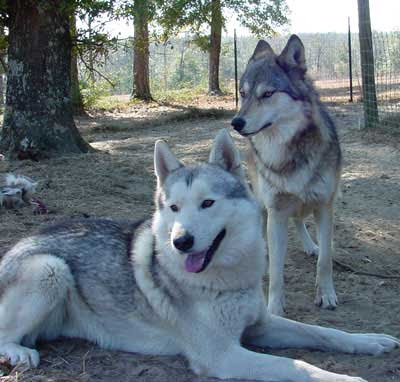 Wolf dogs are defined as dogs with a wolf ancestor in the past three generations. Holland Township resident Cliff Zager thinks the Township Committee's consideration of banning wolf dogs is something personal. So, he decided to nominate his Wolf-Dog for freeholder, in an attempt to fight for his rights. Zager owns 14 of the dogs, which are a hybrid of wolves and domesticated canines. "I believe the Township is hell-bent on getting me out of here," said Zager. However, after all the votes were counted, Hampton mayor Rob Walton was chosen by Hunterdon's Republican party leaders to be the county's fifth freeholder. “I will work hard for all Hunterdon residents,” said Walton uncomfortably, as he eyed the Wolf-Dog, growling. 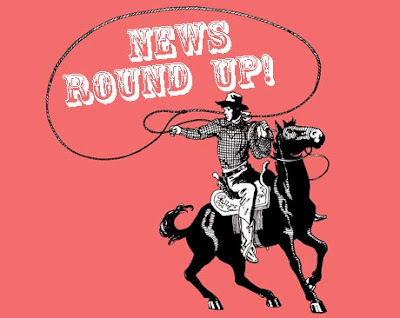 Here you go, folks---a round up of the top stories from around the Garden State in small bites you can almost taste. N.J. Governor-elect blasts Democrats, Senator Paul Sarlo gives pre-emptive response. TRENTON -- Returning from a Thanksgiving vacation, Gov.-elect Chris Christie today quickly ended any illusion of harmony in the gubernatorial transition. With rhetorical flourish, the Republican criticized three main issues: He tore into Democratic Gov. 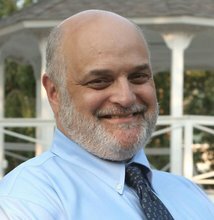 Jon Corzine’s "wildly off" budget projections, his nomination of "unqualified" Middlesex County Sheriff Joseph Spicuzzo to sit on the New Jersey Sports and Exposition Authority, and various Democrats’ lame-duck maneuvers, including weighing bills that would require spending. The Governor-elect could not be reached for further comment. The New Jersey Nets planned move to Brooklyn advanced Tuesday when the team owner received favorable ratings on the bonds he must sell to build an arena and a court knocked down another appeal of the project, according to a report in The New York Times. This was surprising considering the New Jersey Nets are lounging in last place in the Atlantic Division of the Eastern Conference at 0-17. New state Senator Michael Doherty targets Highlands Council. Michael Doherty became the state senator for the 23rd District, which includes all of Warren County, on Nov. 23 in the Trenton legislative chambers. Senate President Richard Codey administered the oath, and Linda Doherty held the Bible. Michael Doherty says he will press for the abolition of the Highlands Planning Council in his new position as state senator for the 23rd District. In a time of economic downturn, the Highlands “has added great uncertainty to economic activity this part of state,” he said. Senator Doherty is sure to be one of the more conservative members of the upper house. Joey Novick can be reached via email at joeynovick@earthlink.net.